Are you romantic in your real life? Posted: February 9, 2017 August 8, 2018 at 8:57 pm by Geri Krotow · Comments Off on Are you romantic in your real life? As romance readers we all know that love is something to celebrate everyday, but I’m never one to turn down the fun, festive feeling of Valentine’s Day. Chocolate, flowers, a romantic get-away, a good movie, quiet time with my husband–any or all of the above, please! We’ve been married a, um, while and have learned that we enjoy time at home the most. The best meals can be made in one pot, and the nicest date is in front of a favorite movie (or binge-watching an agreed-upon series). If you’re looking for a romantic read, check out my books page. 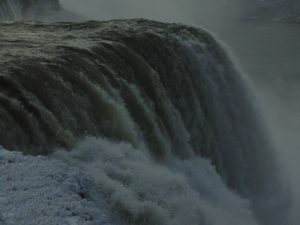 I took this photo of Niagra Falls on one of my many trips back to my hometown of Buffalo, NY.